Broadway alums A.J. 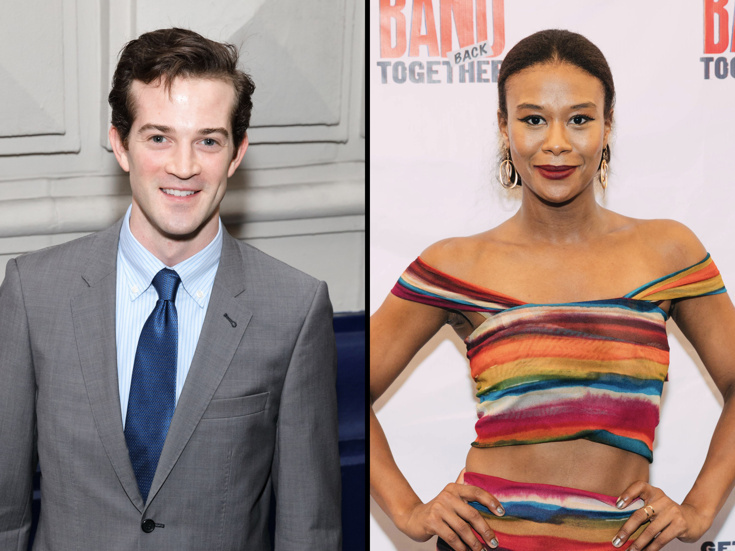 Shively (Bright Star) and Christina Sajous (SpongeBob SquarePants) have been announced to appear in Paradise Square, a new musical making its world premiere at Berkeley Repertory Theatre this winter. Directed by Tony nominee Moisés Kaufman (Torch Song) and choreographed by Tony winner Bill T. Jones (Spring Awakening), the production will begin previews on December 27, 2018 ahead of an opening night set for January 10, 2019. Paradise Square is set in 1863 in a 20-block area of Manhattan known as the Five Points, where black and Irish Americans live side by side, work together, marry, and for a brief period realize racial harmony. However, the intensifying Civil War soon results in the first-ever Federal draft, leading to riots as whites are called to enlist while blacks are barred from serving. Will the hard-won bonds of friendship, community and family in the Five Points prevail or be severed forever? Paradise Square features a book co-written by Pulitzer finalist Craig Lucas (An American in Paris), Marcus Gardley (X Or The Nation V. Betty Shabazz) and Larry Kirwan (Mad Angels). Music is composed by Jason Howland (Little Women) and Larry Kirwan (Mad Angels), with lyrics by Nathan Tysen (Amélie). Joining Shively and Sajous in the cast will be Karen Burthwright, Kennedy Caughell, Tiffany Adeline Cole, Garrett Coleman, Colin Cunliffe, Chloé Davis, Kevin Dennis, Bernard Dotson, Jamal Christopher Douglas, Sidney Dupont, Sam Edgerly, Jacob Fishel, Shiloh Goodin, Jacobi Hall, Daren A. Herbert, Erin Lamar, Gabrielle McClinton, Ben Michael, Jason Oremus, Bridget Riley, Clinton Roane, Celia Mei Rubin, Erica Spyres, Madeline Claire Trumble, Mark Uhre, Lael Van Keuren, Brendan Wall, Sir Brock Warren, Christian Whelan and Hailee Kaleem Wright. Paradise Square will feature scenic design by Allen Moyer, costume design by Toni-Leslie James, lighting design by Donald Holder and sound design by Jon Weston. Orchestrations and music supervision are by Howland. The production will play a limited engagement through February 17, 2019.